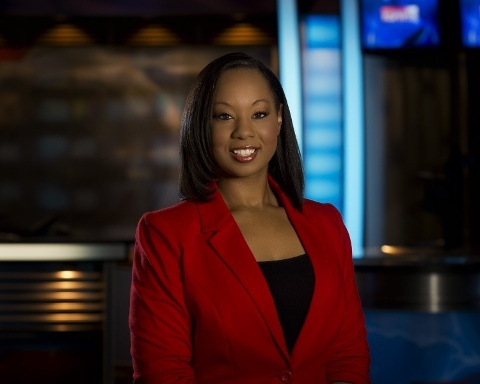 Sheena Elzie joined KSPR news in July 2012 as a Multi-Media Journalist/Reporter. She comes to KSPR from WAND in Decatur, IL where she was a Reporter, Producer and fill-in Anchor. Sheena’s career started in Traverse City, MI where she was a Reporter/Producer at WPBN. Sheena is a graduate of Northern Illinois University and during college, spent time in the CNN newsroom learning the tricks of the news trade . She has been recognized by the university and the Illinois News Broadcasters Association for excellence in reporting. Sheena is a true news junkie, but when she’s not chasing after the next big story, you can usually find her working out, dancing, or singing along to some of her favorite songs. She also loves spending time with family in her hometown in the Chicago suburbs. Sheena is looking forward to meeting new friends in her new home state and hopes to continue to strive for success, break barriers, and have fun doing it during her time in Springfield!